It might be summer in the northern hemisphere of the world, but down on the other side of the equator in places like Australia, it's smack dab in the middle of their winter months! In today's shop you can find items for either season, though, because MamitaBella93'S Knitful Dezigns on Etsy is filled with not just knit hats and slippers but also accessories galore for women and children both! Veronica, the artisan behind all these cozy made-with-love items loves art and she's just beginning to tap into her creativity and creativity abounds as she's also preparing to release a plush doll collection as well! Veronica accepts custom orders too, so if you have something in mind you don't see in her shop or if you see something in her shop you love but want in a different color, be sure to send her a note! 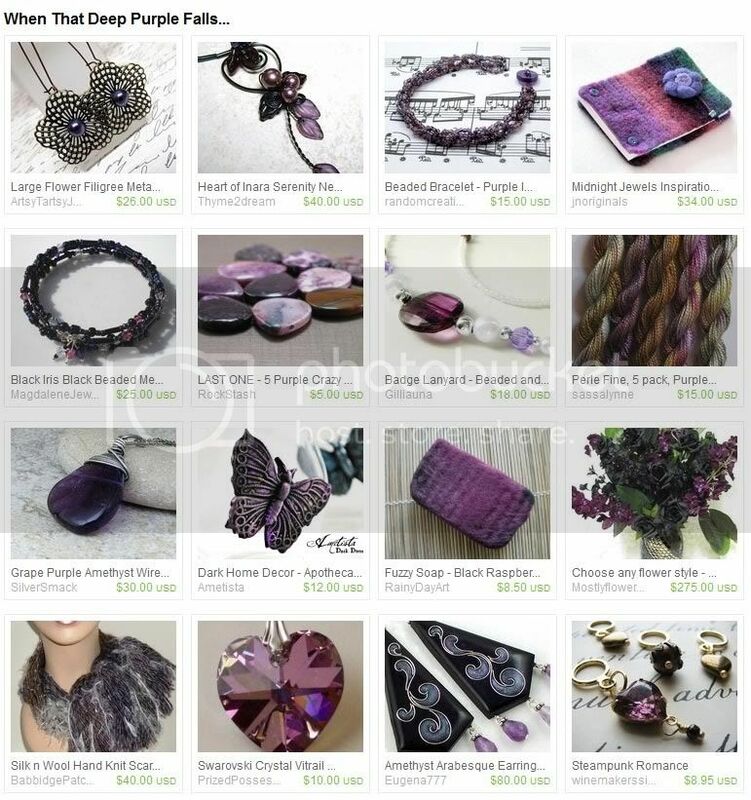 YOU CAN CLICK ON THE PICTURES ABOVE TO VISIT MAMITABELLA93'S KNITFUL DEZIGNS ON ETSY AND TAKE A LOOK AROUND OR, IF YOU PREFER, YOU CAN CLICK RIGHT HERE. If you like what you see in Veronica's shop, you may also enjoy visiting the Knitful Dezigns blog or stopping by to say hi on Facebook or Twitter!